Buying a home is a process. There are many steps involved from the time you start your search to when you are finally able to move your boxes in. If you are ready to find your dream home in the Whittier Area, help is here. Understanding the major steps of the home buying process will help eliminate any initial stress you might have. Here is a basic step by step guide to buying your new home! 1. Make a List of Wants and Needs! Know what your must haves are in your new home as well as those features/amenities you might prefer but are not deal breakers. Also, figure out a budget so you fully understand what you can afford. Doing this work ahead of time will allow you to narrow your search. 2. Begin Your Search! Start searching for your new home online. 3. Work with a Top Realtor! Finding a top real estate agent to work with will help you throughout the process. They understand the local market, the art of negotiation, and so much more that will undoubtedly help you find your dream home in no time. 4. Find a Lender! Ask your realtor for recommendations for the best lending agents to help you with your financial needs. 5. Decide on a Loan! Pick out the perfect mortgage for you based on the budget you created at the start of the process. If you are able to get pre-approved for a loan, you will stand out to sellers. 6. Start Looking! Hit the road with your realtor to start looking at homes. Home information online is helpful at the start but you will never get the full feel for a home until you walk through it. Attend open houses and schedule showings of homes you are interested in to find the right home for you and your family. 7. Make an Offer! After finding the perfect home, it's time to put in an offer. Your realtor will help you draft an appropriate offer that will hopefully make the home yours! 8. Enter Negotiations! Understand that there will likely be a counteroffer from the seller. This is where your realtor comes in handy because they are well versed in the step. Discuss what you are willing to pay for the home and what conditions you need to feel comfortable with your purchase. 9. Inspect the Home! One of the most important steps is the home inspection. You need to make sure that there are no underlying issues with the home that you could not see during the open house. Ask you realtor for licensed home inspectors in your area and go with them during the inspection so you can ask questions as they pop up. 10. Have the Home Appraised! Now it is your lender's time to determine the cost of the home. If it is appraised close to your offer, the home is yours! 11. Closing! During closing, you will finalize all paperwork to transfer the home to you. 12. Move In! Enjoy life in your beautiful new home! Find more home buying tips by visiting our website and following us on our Facebook page. Relocation Help in Sunny Southern California! Congrats! You got a new job offer in the Greater Los Angeles area! Moving to a new city for a career is an exciting process. Along with the new job, you will need to start considering where you are going to live. Although it can be stressful to think about a mortgage at the same time as starting you make a career move, it is a great way to lay down some roots in your new community. The Domis Team is here to help Buyers navigate the relocation process in our communities. How does a job change affect your mortgage? Starting a new job has an inevitable affect on your loan approval. But, do not dismay! Lenders are interested in your ability to proof that you can afford the home for at least the next three years. The best way to prove this is through your income and employment history. As long as you have not been continually changing jobs or had long breaks in employment, your lender will be able to review your finances in a positive light. Your new job will also display your ability to repay the loan. If you are getting a promotion or receiving a pay/benefit increase, these are positive indicators for a mortgage. As long as you will be working full time and have a long term contract, your approval chances should not change. Be sure to share your offer letter with salary confirmation to the lender. In addition, they will want to see proof of employment within 30 days. This can be done with your first pay stub. Follow this simple advice and your should have no issues being approved for a loan! 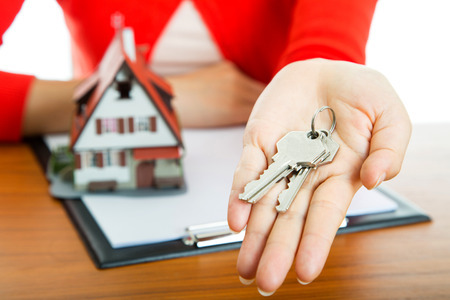 How to acquire a home loan in the midst of relocating? There are several factors to consider during this process. If you own a home in your current location, determine how long you can afford that mortgage while trying to settle into your new community. You need to be prepared if your current home does not sell as quickly as you were expecting. If you can't afford two mortgages at once, consider renting in your new location at first. Not only does this give you time for your employment verification but also provides you with the opportunity to explore your new surroundings and find the perfect neighborhood for you. However, if you are determined to find a new home immediately upon relocating, there are options. 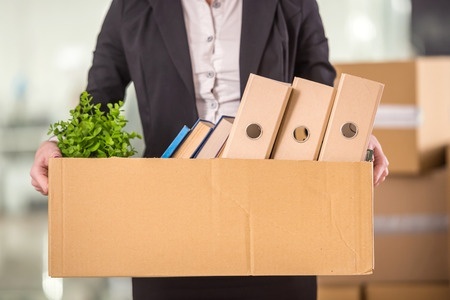 Find out what your new company offers in terms of relocation packages. These can range from paying for movers, helping with closing costs, to down payment coverage and more. Some companies even offer a Guaranteed Buy Out. This generous plan has the company buying your current home at appraisal value if it does not sell quickly. Again, talk to your new employer what options are available to you as you may be able to get more help than you realize! We are excited for you to be joining us in the beautiful Whittier, La Habra, and La Habra Heights area. Contact us today for a Free Relocation Package and with any additional questions you might have. We cannot wait to help you find your dream home. Give us a call today or visit our website at http://www.whittierhomes.com/. What are the Top Whittier CA Schools? 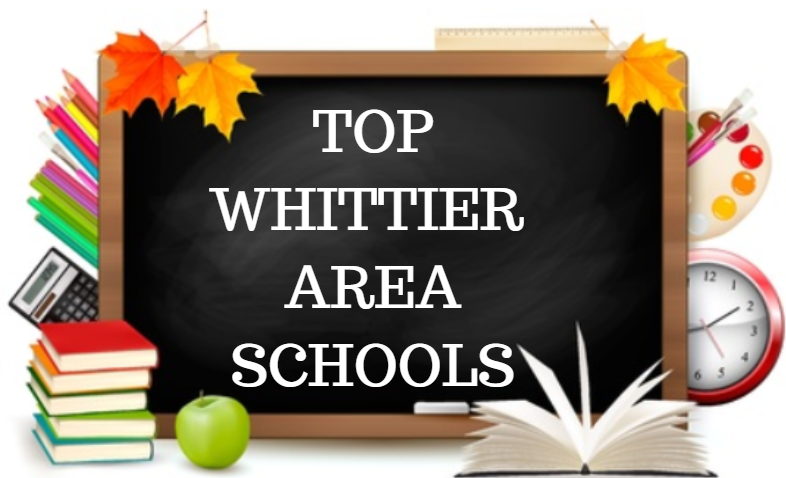 As we embark on a new school year beginning, we wanted you to get acquainted with the Top Rated Whittier Schools. When home buying, schools rank higher in order of importance than many other home and neighborhood amenities. If you're looking for a new Whittier area home and have a family, here are the schools rated TOP! Murphey Ranch Elementary School- A/A- rating for teachers and academics! Serving 559 students in grades K-5, with a student-teacher ratio of 27:1. Search all homes for sale in the Murphey Ranch Elementary School Neighborhood. Rancho-Starbuck Intermediate School- Rancho-Starbuck is an above average middle school, serving 808 students in grades 7-8 Student-teacher ratio is 28:1. Search all homes for sale in the Rancho-Starbuck neighborhood. La Habra High School- La Habra High School is a highly rated school in the Whittier School District! With 2,212 students in grades 9-12 and a student-teacher ratio of 30:1. This school is a 2018 Honor Roll Award winner! Search all homes for sale in the La Habra High School area. La Serna High School- Receiving an overall grade of A, this Whittier area public, magnate school with 2,838 students in grades 9-12 with a student-teacher ratio of 28:1. Search all homes for sale in the La Serna High School area. California High School- Another 'above average' public magnate school located in Whittier CA. The school serves 2,819 students in grades 9 - 12, with a student-teacher ratio of 29:1. Search all homes for sale in the California High School area. Have more questions about the Whittier Area School Districts? Give our team a call! We'll help you find the perfect home for you and your family in the school of your choice!. Get more local information by liking and following our Facebook page. Interest rates will continue to rise, so this could be your last chance to lock in a low rate for years to come. The average 30-year fixed rate is now at 4.70%, up from 4.13% one year ago. This is a $119 increase monthly from the 4.13% rate and a $1,428 increase annually! 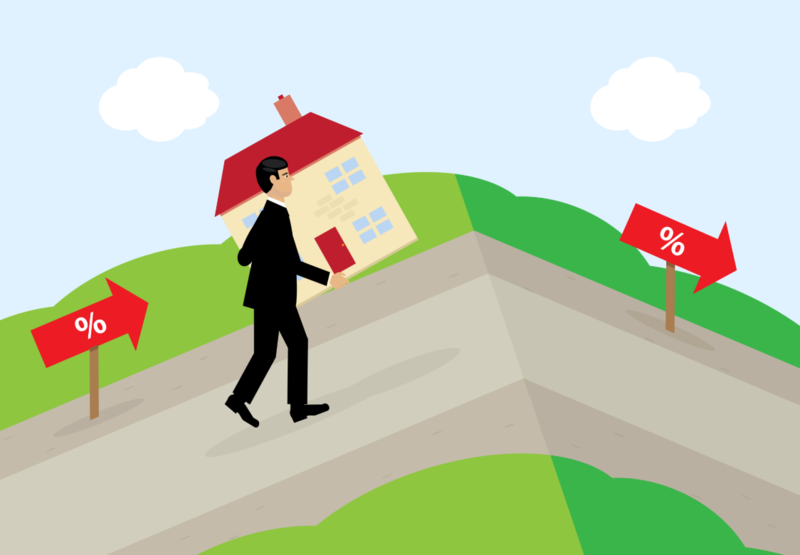 Do you have an adjustable rate mortgage (ARM)? If so, you need to contact your lender immediately and lock in your interest rates at one of the low rates offered now. Have you considered a refinance? Get a cash-out mortgage to use the equity in your home. Pay money into your mortgage to get a lower loan amount. What is the appraised value of your home? Debt to income ratio at this time? Although it may be possible to roll many of these items into your new mortgage, you need to check with your mortgage lender for specifics. Have more questions on home buying or refinancing? Contact us at 562-884-5373 today. 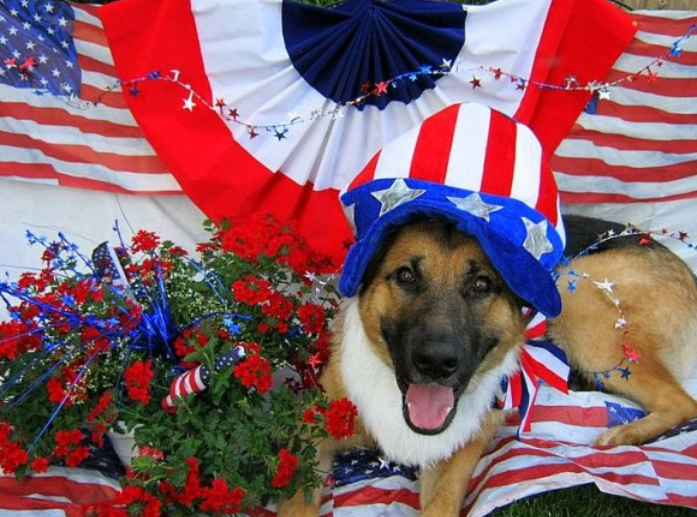 With the celebrations of the 4th of July upon us, it's important to protect your pets from the stress of Fireworks Displays that will fill the nighttime sky. Pets are under stress from loud auditory sounds throughout their daily lives; police cars, ambulances, firetrucks, construction and more. However, firework displays are far greater in volume than the 120-decibel pain threshold for pets...fireworks are in the 170-decibel range! 1. DO NOT TAKE YOUR PET TO THE FIREWORKS DISPLAY!! 2. Keep them in an interior room to help shield from the exterior noise. 3. Turn on the Television or Radio to add some everyday background noise that can interfere with the loud noises outside. 4. If at all possible, have a family member stay with your pets during this time. Especially if you have a new pet! 5. Make sure the room you put them in does not have an easy escape route. The number of pets that try to escape their situation during fireworks increases substantially on the 4th. 6. Check to be sure that your pet has identification tags or is chipped, in case they do escape the home. 7. If you've chosen to have fireworks at your own home, make sure you've cleaned up the debris as it will be toxic for pets...especially when being chewed on. 8. When returning from a fireworks display, try to be calm upon entering your home and keeping loud everyday home noises to a minimum. Wishing you all a happy & safe Independence Day! Add Beauty and Up your Curb Appeal with these beautiful Plants! 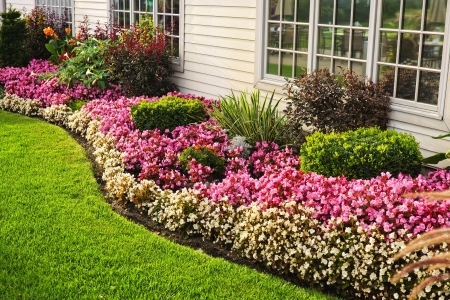 Make your Whittier Area pop this spring by adding some beautiful plants to your yard. These plants will add beauty to your curb appeal and help it stand apart from the competition in the market. This plant grows 3 to 4 feet in height and 4 to 6 feet in width. It is perfect for small, compact areas. Enjoy the white blossoms in the spring and the glossy, green leaves all year round. This hardy, drought resistant plant is low maintenance, needing only a weekly watering and mulch. This plant grows 10 to 48 inches in height and 12 to 24 inches in width. Add some beautiful color around your house with this hardy, drought tolerant plant. This plant loves hot weather and thrives in well-drained soil. Extend the purple-blue blossoms into the summer time by deadheading the blooms when needed. This plant grows 3 to 5 feet in height and 3 to 5 feet in width. Unlike other azaleas, the Encore can be placed in bright, sunny spots. This plant offers two blooms, the first in spring and the second in late summer/early fall. It comes in a variety of colors and thrives in slightly acidic soil. This plant grows 4 to 6 feet in height and 4 to 6 feet in width. Add some lovely evergreen color to your landscape. It's miniature tree shape makes it a great plant to add variety around your foundation. It does well in the sun or partial shade and moist soil. It requires little pruning and is quite disease resistant. This plant grows 4 to 5 feet in height and 3 feet in width. This lovely plant offers color and texture to your yard year round. Its bright berries offers food for birds and provides a great accent around the foundation. It grows best in full sunlight but can survive in partial shade. This plant requires pruning in the spring. This plant grows 3 to 5 feet in height and 3 to 5 feet in width. Place this plant front and center for its beautiful, fragrant blossoms and thick foliage. This plant grows 4 feet in height and 3 feet in width. With blooms throughout the seasons, your home will look great all year round thanks to this lovely plant. This rose cousin is easy to care for and quite disease resistant. This plant grows 3 feet in height and 6 feet in width. This lovely leafy plant looks great year round. It blossoms spiky white flowers in the spring and small black fruit in the summer. It requires weekly watering and extra care during its initial growing season. This plant grows 3 to 10 feet in height and 3 to 6 feet in width. This woody plant can add a great focal point for your garden. It can be planted in partial sun and is ideal for placing in front of tall foundation walls or around porches. Check out our other Home Selling Tips! Give The Domis Team a call today or visit our website at http://www.whittierhomes.com/ for all your real estate needs. Get active this weekend with your friends, family, and neighbors at the #La Habra Races!! This favorite annual community event is taking place this Saturday, March 10th, at the La Habra Marketplace (1801 West Imperial Highway). Lace up your running shoes and enjoy a morning of fun and exercise in beautiful La Habra. This event is great for the entire family! All ages are welcome to participate in the 5K race, which follows a semi-challenging course through the heart of La Habra. The 1K Kiddy Run is open to children ages 6 to 9 and the 50-Yard Diaper Dash is open to children ages 3 to 5. Staff from the La Habra Active Day Camp will also be supervising a Play Matters Fun Zone for parents who would like to participate but need childcare. Participants in all of the races will receive participation medals. All 5K participants will receive T-shirt, runner goody bags, a toothbrush kit, and a Nektar coupon. Medals will be awarded to the top 5 runners in each age group division. Along with the race, be sure to check out the Health and Fitness Expo taking place during the event. 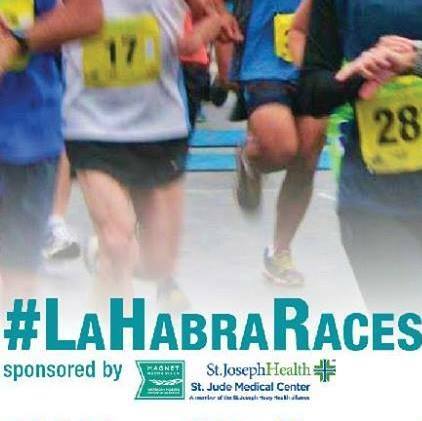 To register for the 2018 La Habra Races, fill out the Registration Form and mail it or deliver in person to the La Habra Community Services Department (101 West La Habra Boulevard). Online registration is available HERE (note: an additional service fee will be added). The registration cost for the 5K is $40; the 1K Kiddy Run is $30; the 50-Yard Diaper Dash is $25. Registration packets can be picked up on Friday, March 9th, between 4:00 pm and 7:00 pm at Famous Footwear in La Habra Marketplace. The #La Habra Races are just one of the incredible annual community events that make La Habra a great place to call home. If you are interested in Buying a home in this fantastic city, give The Domis Team a call today or visit our website at http://www.whittierhomes.com/. It's a Home Sellers market! 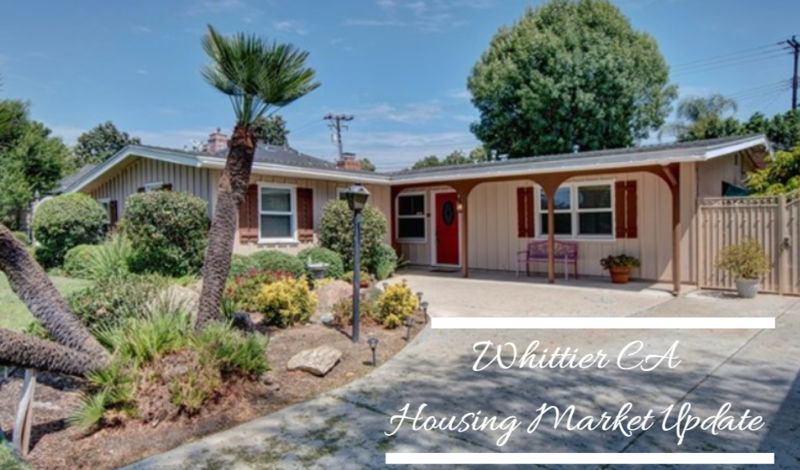 While days on the market have increased slightly, the market index is trending at 46.71 indicating an excellent time to sell your Whittier area home. Home prices have dipped ever so slightly as well, but are still far above the norm. If you're considering selling your Whittier California area home, contact The Domis Team for a personalized consultation, or you may obtain a free, no obligation home analysis HERE. Are you searching for the perfect home in Whittier CA? Sign-up for our Preferred Email Listing Alerts and receive only homes new to the market that meet your personal preferences. Sign-up here. If you've been thinking of selling your Whittier home, you might be wondering, in today's market, if it would be possible to sell the home yourself. After all, home buyer demand is up, mortgage interest rates are low, and sellers are in the driver's seat. What would you have to lose? Potentially, thousands of dollars and a lot of time! While you may be able to sell your own home with the help of an attorney, homes listed "For Sale By Owner" do not have the advantages of brokered listings in the California real estate market. Here are a few reasons why! 1. Trust and accountability. Real estate professionals adhere to a code of ethics and a uniform standard of practices. Home buyers know they can turn to us for help with their home search and real estate questions. This provides a level of confidence they cannot receive by working directly with a FSBO seller. 2. The Multiple Listing Service. (MLS.) This database is available to home buyers worldwide through multiple websites. Homes listed in the MLS receive exposure unmatched by any FSBO network. 3. Transparency. Homes on the MLS have tracking for days spent on market and price reductions. Statistics such as list price to final sales price are also measured. There is a wealth of market information available to buyers and sellers alike. 4. Comparative market analysis and price guidance. Automated valuations that are available online are a starting point, but they do not consider home condition, amenities, and other localized factors that can affect home value. Your best chance of getting top dollar for your home, in the shortest amount of time, is by working with a real estate professional. 5. Qualified home buyers. We assist home buyers with referrals to mortgage professionals, home inspectors, contractors, and just about any resource they may need. We work with buyers to help them find the best homes in their price range. In short - we provide them with information, education and service. More than one-third of home buyers are first-time buyers! To sum it up, there are many services we provide to home sellers as real estate professionals, far beyond coordinating appointments and performing marketing. Yet we do not get paid a dime unless your home sells. Naturally, we want to help you succeed! We also want to make sure buyers and sellers are given terrific service, because we want you to refer your friends and family to us! Ready to sell your home? Please contact us for your complimentary sales consultation! We will show you what your home is worth on the market today, and provide a net sheet to estimate your proceeds at closing. Find out what the Domis Team can do for you! There is optimism among economists for real estate and the national economy during 2013! According to a recent article by CNNMoney, home building activity is expected to be the largest positive influence to the economy this year. Other positives include an expected increase in consumer spending and increased domestic energy output. Economists are forecasting about 1 million housing starts this year, which translates into an increase in well-paying construction jobs and increased demand for appliances, home furnishings, and related goods and services. The snowball effect also helps retailers, restaurants and businesses of all types. The upbeat views of economists are echoed by an increase in consumer confidence about the housing market. A survey conducted by PropertyShark shows that 71% of respondents expect home prices to remain stable and rise this year. When home prices increase, American consumers have a greater sense of wealth, which fuels spending. 2012 real estate activity ended on a strong note. The National Association of REALTORS® reported that 2012 home sales reached their highest level in 5 years at 4.65 million units. National home sales were up 9.2% from 2011. Where will this put California real estate during 2013? Since we were ahead of the rest of the country in home price gains during 2012, it’s reasonable to expect a similar pattern this year, so long as the economy remains stable. However, our sales volume may struggle due to a lack of home inventory. California has limited buildable land, and we cannot rely on new construction to fill the imbalance between home demand and supply. Contact us for the latest news in the Whittier housing market, and find out how home sales are doing in your neighborhood! Whether you are buying or selling a home, we have the local expertise you can trust!